Villa Yasemin is a modern detached private villa completed in 2010. The villa sleeps 8 in 2 double and 2 twin en suite bedrooms. One of the bedrooms is located on the ground floor with double doors leading directly onto the pool terrace and garden, ideal for those with mobility issues. The other bedrooms all have double doors leading onto a large balcony which overlooks the pool, garden and fields beyond. 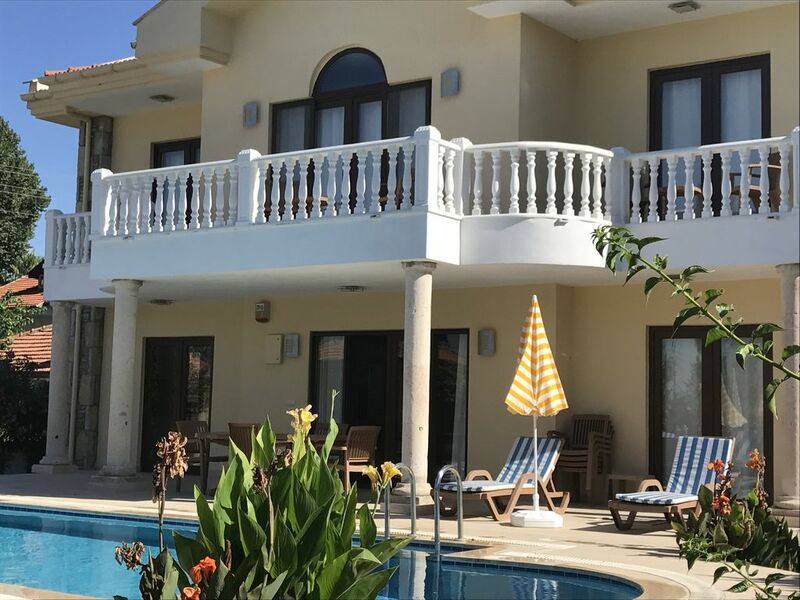 Villa Yasemin is fully air conditioned. Lovely location, great pool, amazing villa and comfortable beds! Thank you very much for your review of villa Yasemin. We are so glad you enjoyed the villa, its amenities and its location. Looking forward to seeing you again in the future. Many thanks. Villa Yasemin is located on the edge of Dalyan in a quiet location and yet only 10 minutes walk to the main street of Dalyan.